Heat4Life, TheFugue and ghandpivot like this. Im on holidays and phone right now, so i cant do it atm, but ill send out the steam keys for the top 3 places after im home. Aww crap I completely forgot to enter. I expect you'll be getting a raise in your moderator's salary. Actually, I suggested I could get a 50% salary rise to @Nocturne and he didn't say no. Now that's a proper voting system debate. A voting system debate isn't a voting system debate if not a single person suggests mixing voting systems together and/or voting for the voting system to choose, then wondering which voting system use to tally the voting system votes. HayManMarc and Detective Pixel like this. October 28th - 31st, from noon UTC to noon UTC. You might or might not grace Benjamin Franklin with a few curse words due to the switch from Daylight Saving Time that'll happen in the middle of the Jam, potentially causing some confusion. I think the results where pretty spot-on this time around. One suggestion, though. For the next jam, could we require people to rank all the games they play? This would solve the issue Dan had. We could also allow people to rank multiple games at the same place, so that people don't have to order all of the games if they don't want to. You can't oblige everybody to play every game. That's a recipe for disaster and was tried in previous jams. All you can do is encourage people to play as many as possible and hope that a majority play and rate them all. We could also allow people to rank multiple games at the same place, so that people don't have to order all of the games if they don't want to. That's just what we're doing right now. People order all the games they want and then we default all the other games to the same rank, which is what people would have done anyways if they could set multiple titles to the same rank. HAHAHAHAHAH.... yeah, I remember entering that winter based competition (the one that "Frozzd" and "Garden Gnome Carnage" won) and being all wrapped up in creating a "mini-map". By the time I was done, I didn't have much time for an actual game! I actually tried your game out, but the game jam froze and didn't save, soooo, sorry I didn't review it. QUICK REVIEW: Very polished graphics, the gameplay was polished, but the turns didn't feel quite right. Clunky, but consistent. *Hitboxes were tight, I prefer a little more leeway (larger hitboxes). Great job Nocturne. Also... Skein. I seriously want to know more about it, at the same time... take your time. Please, even if the answer is "I'm taking my time" and you're just letting some ideas "bake", I'd be very interested in knowing that. 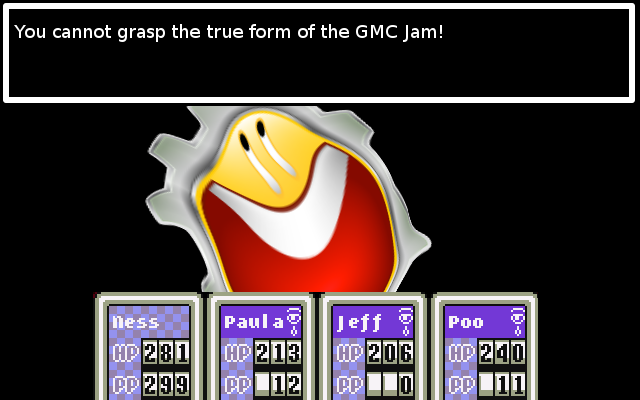 And do we have any info on the date of the next jam (Anyone)? *Hitboxes: Not always the shape of a box. the collision detection zone of 2 objects in a game. Also known as a "Hitzone", or "collision data". You can't oblige everybody to play every game. That's not what RekNepZ said... his (first) suggestion was that any game that is played & commented on also must be ranked so that you can't be selective with only giving certain games votes. Yo! Check me out sportin' my trophy in my sig and struttin' my stuff! I got a trophy too! It's in my signature as well! Well, i think i learned some things NOT to do during a jam, and i'll try to be back next jam..
Arrow's Impossibility Theorem proves that no ranking/voting system(even mixed ones) would possess all of the qualitative behaviors we would expect/want it to have. Just settling on a method of ranking the entries according to votes, and sticking to it, would be the be the best way to ensure consistency; Even though it will never be optimal. From wikipedia, on the subject: "No voting method is fair, every ranked voting method is flawed, or the only voting method that isn't flawed is a dictatorship." Yal and Alice like this. October 28th - 31st, from noon UTC to noon UTC. Ooh! Halloween jam? I'm already hyped for that! 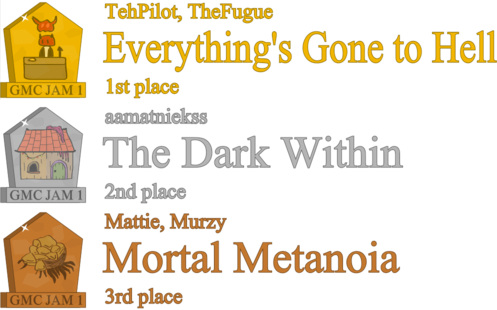 I had a really fun time playing through some of the games this jam, and you all helped remind me why I love indie games so much. One reason these jams are so great is because it gives us all an opportunity to learn from each other. I'm happy with the ranking Phantomatics got, considering the tiny window of time I had to make it. Wow I never thought of getting 15th place! Can't wait for the next one. Great jam everyone! I've messaged @TehPilot and @TheFugue for prizes. Ah, I'm one of the unfortunate ones then. I always work the most on weekends, but I have the beginning of the week free. And I expect that every jam is going to be on weekends, so I will pretty much always have what is essentially 24 hours. But I understand that the time just can't work for everyone and my schedule is not the norm, so I'll just have to accept my fate. So with that, I've decided to pick a day between now and the next game jam and I'll try making a game within 24 hours. I might even do this multiple times. I expect that doing this will help me get a feel for it and be much more prepared. I really need to learn to give up on trying to make things perfect and efficient or 'the best thing ever' (cuz that's totally gonna happen in 24 hours.... sarcasm). That's actually one reason I tried making a game this time, because I usually think too much and keep making code more and more efficient, often rewriting an entire engine from the ground up. But yeah, I shot WAY too high for the first jam and I still have lingering sad feelings that I'm not in the very first rebooted game jam. All I had to show was some music and a couple gifs of my world editor in action. Just curious, are people creating their own tombstone badges? If so, what font are you using? @zircher: No, they aren't. The whole set of banners is here. Here are banners for all participants! Feel free to grab yours if you participated, too~! @Alice these are awesome. Love that you personalised each one with a drawing based on each game. The guy on the right on mine looks quite happy to be hanging and bleeding out. Oh, hey, a moment to pop out of the æther and say something! So... concerning the voting system: I have this great video where a fellow named CCP Grey explains Alternative voting; maybe you've seen it? joke aside, congratulations to the winners and thank you for a wonderful jam. I promise to be more active next jam when I have time to do stuff. Also, a round of applause for @Alice for the awesome work and dedication she put into this, from someone just observing from the shadows she did a fantastic job with this being one of the more professional and well orginized Jam I've seen. That is not mentioning the gripe she saved me by including that Jam player because usually I take a long while deciding how I'm to review and rank the games. The player worked fine, only issues maybe are that placing the entry in the list and correcting can get a bit wonky. I've had some instances where the game I'm placing ended last on the list for some reason. So, fantastic work Alice and awesome Jam everyone. Can't wait to join you next time! Alice and HayManMarc like this. Also, it's a good opportunity to do some design work (medal bases and text arrangement) and doodling practice (pictures themselves). Art isn't really my primary area of competence, but I feel like I'm improving if only a little, and pull off stuff I earlier wouldn't have courage to (this time round, I made more coloured trophies, for example) or find parts I struggled with earlier on easier somehow. Which is good, because even if I won't become a great artist (programming is still my main area), a skill to doodle a quick character or item concept is still useful, e.g. to easily convey the idea to an artist I'd collaborate with. Yeah, that's some cheerful fellow here; probably one of those who stay positive no matter what and cracking bad puns all the time. I bet if he wasn't dead, he'd be asking the other guy "how's it hanging?" or something. Though with that kind of person, he might be doing that despite being dead, anyway. HayManMarc and Carnivius like this. Said every game-dev, ever... J/K Looking forward to Skein! High hopes! For about 8 hours of work. I'm actually kinda proud of this. Still I'm quite sad that my project couldn't come to light. I worked on it for about 10 hours after, and made it playable and fun. Can't wait for the next game jam. Thank you to all the organizers, voters, and prize givers! Thank you for giving us all a CUSTOM THRPHY SIG! Indeed, although I might have tweaked mine a bit. Looking forward to adding to my collection. I agree, great job on pulling this all together @Alice !! Also, love the burning house on my tombstone. Thanks everyone who rated my game! I'm very happy with how well my game did considering it was my first jam. Can't wait for the next one! I'm going to do MUCH better. Maybe I'll get in the top 10. Finally home from the holidays. Sent out the prizes for the top3. And since I came 2nd, I sent the prizes to 4th place instead of myself. RekNepZ and Nocturne like this. Still holding my breath to see who wins Dadio's prizes! Detective Pixel, dadio and Alice like this. Pelican, Zodaris, Yal and 2 others like this. I've got a total of one request for graphics, by the way, so if anyone is in the mood to claim their prizes, please PM me before the next jam starts. Thanks for the heads up. [I forgot that everyone qualifies.] I sent you a suggestion. I'd like to make that a public/shared resource, if you don't mind. newcomer question: when is the next gamejam ? 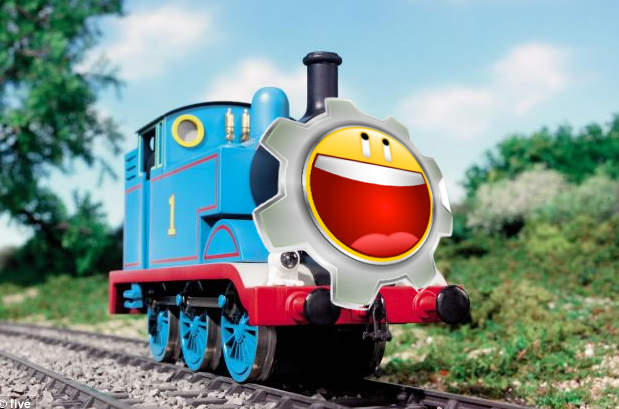 Trust me, when the date gets closer, the hype train will pull out of the station. HayManMarc, Alice, Pelican and 8 others like this. Micah_DS and rui.rosario like this. Whoa, whoa, whoa! Where do we post the game jam info? 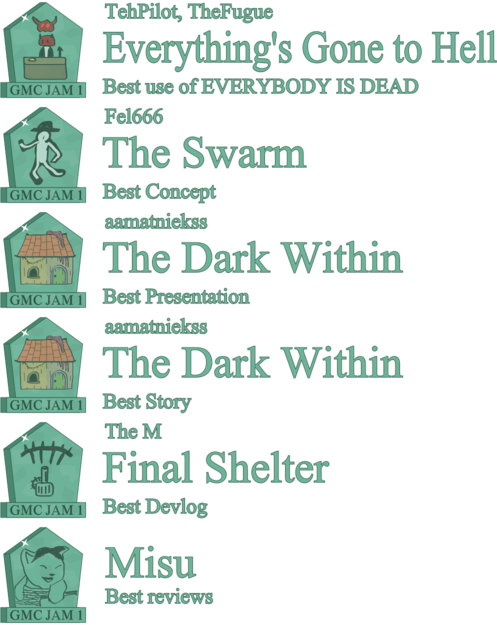 I totally missed out on the One Script Game Jam. I don't want to miss out on these things! But where do I check for updates? I really don't want to miss out on another game jam.